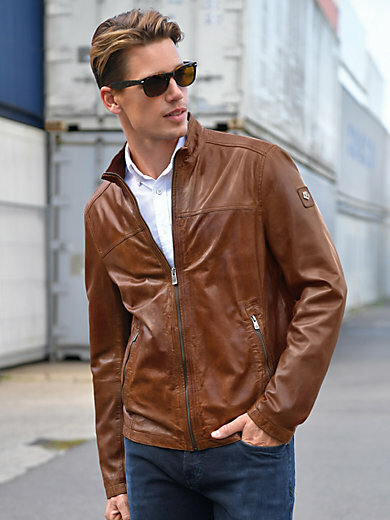 Leather jacket by MILESTONE in a masculine look made from premium lamb nappa leather. Timeless design with a raised collar, high-closing zip, 2 zipped pockets and numerous inner pockets. Lining in 100% polyester. Length approx. 66cm/26ins. Special leather clean.